Notes: The station was opened as Ringstead and was renamed Ringstead & Addington on 1st April 1898. Platforms were staggered with one either side of the level crossing. 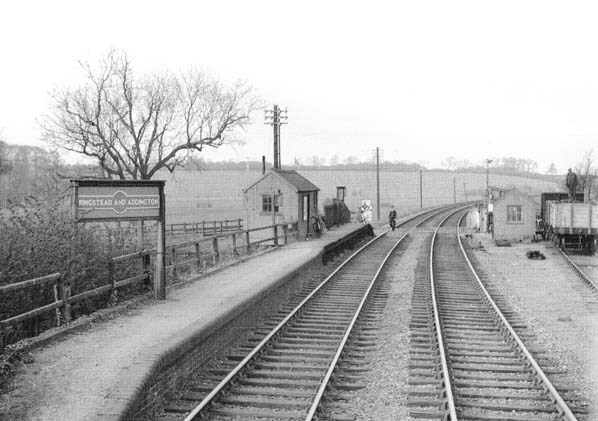 Freight facilities were withdrawn from the station on 2nd March 1964. 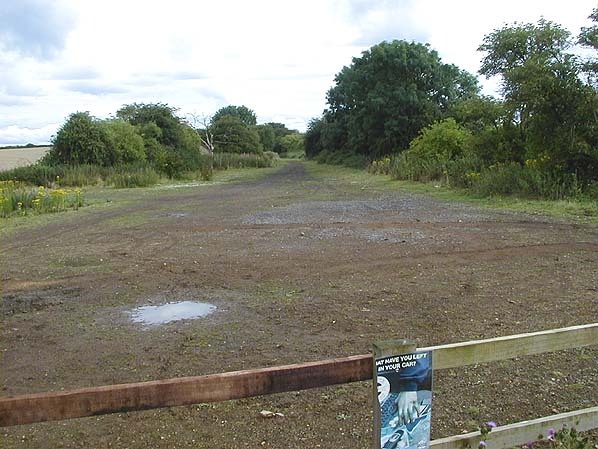 The site of Ringstead & Addington Station looking south in July 2005, taken from the same viewpoint as the picture above.